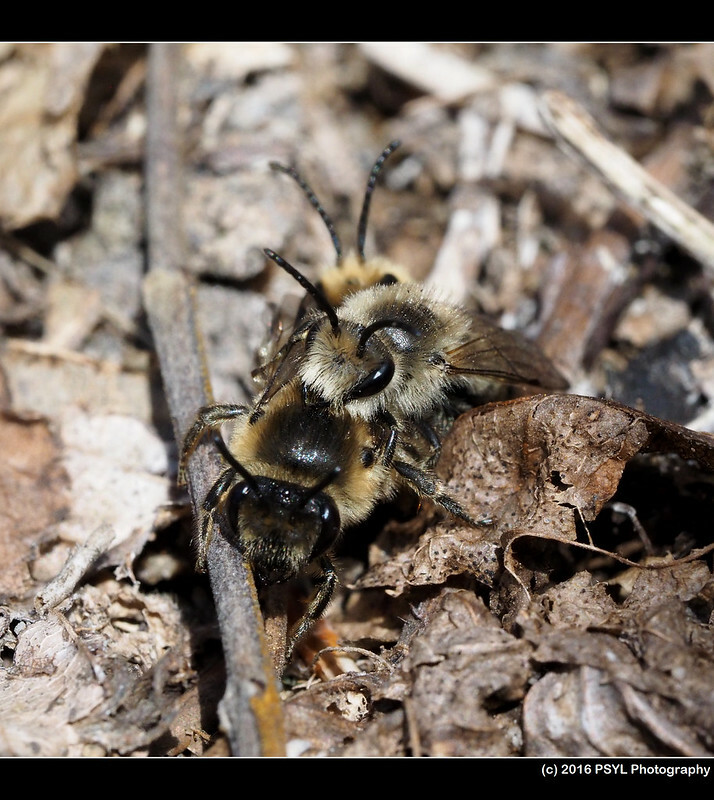 It is that time of the year again where I help out with the survey of spring ephemerals and emerging bees at Gatineau Park. To read more about it, check out my previous posts from 2014 and 2015 (parts 1, 2, and 3). 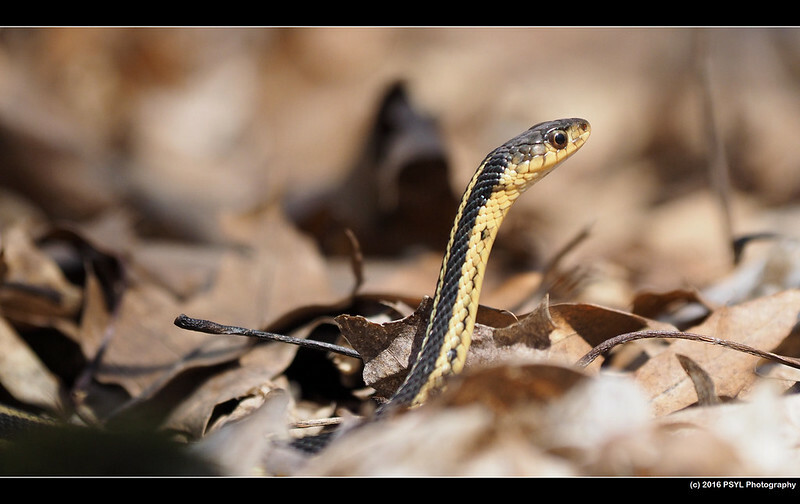 It is always nice to be back out in nature (especially after a long winter), to step on foliage and into muddy puddles, and search for anything moving, making sounds, or just being attractive. 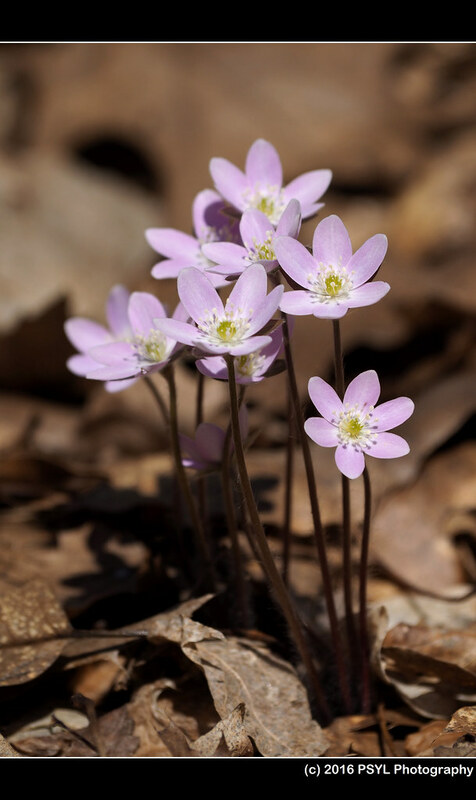 Since it is only early spring here in eastern Canada, we didn't see any bees constructing new nests in the nest boxes and saw only some hepatica flowers in the quadrats. 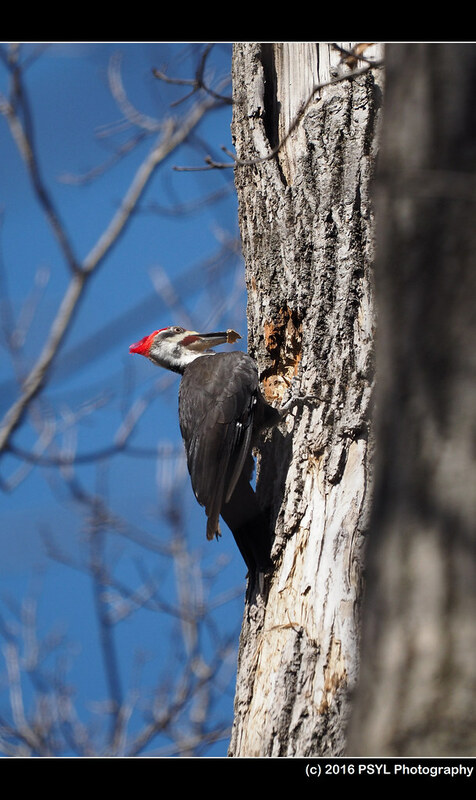 While I was checking the nest boxes, I noticed this Pileated Woodpecker (Dryocopus pileatus) pecking a tree nearby. Got a piece of wood chip in his beak. 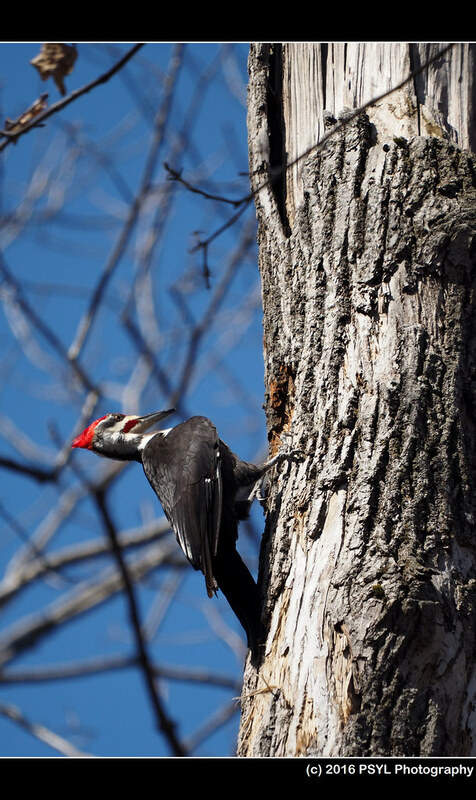 The woodpecker was apathetic to my presence. 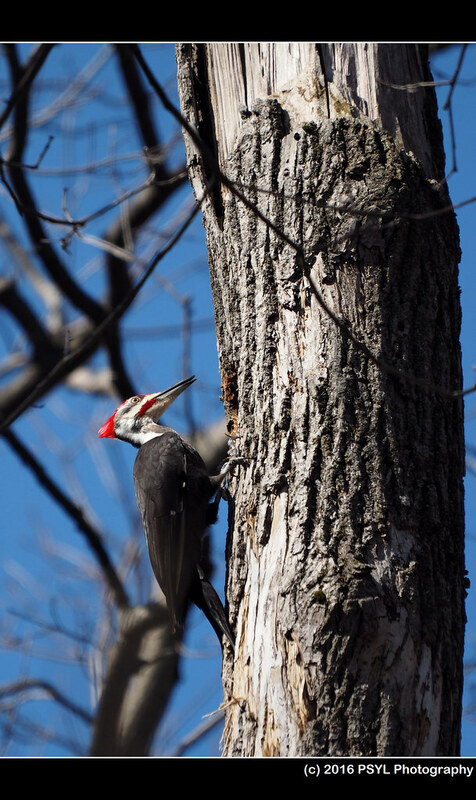 I stood beneath the tree and videotaped the wood chip falling from his pecking. 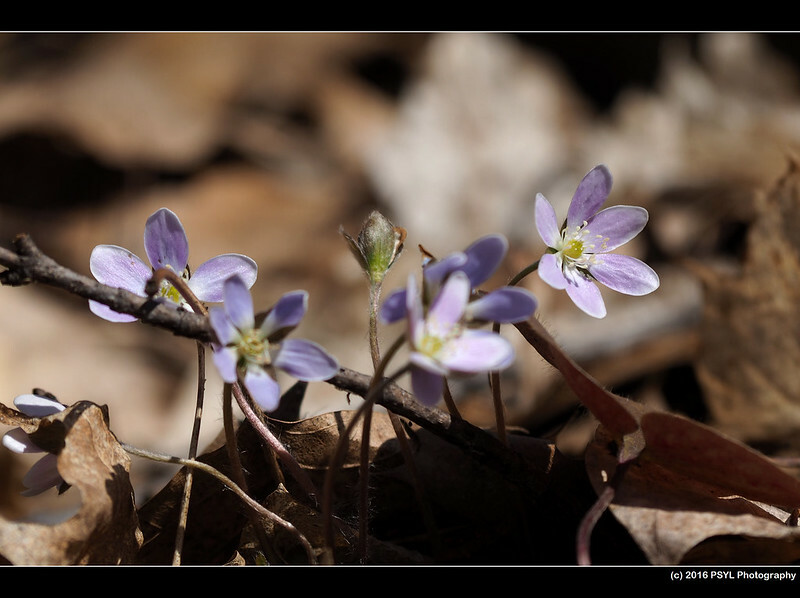 Pretty hepatica flowers (Anemone sp.) near one of the plots. 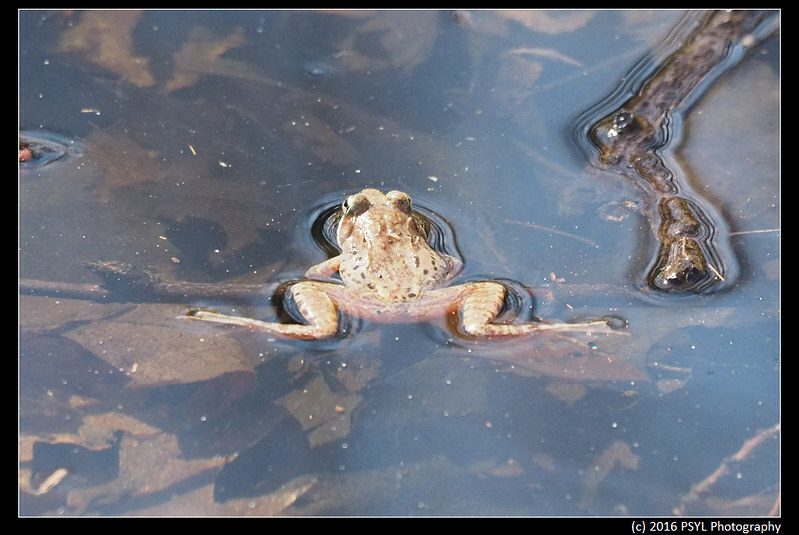 There were many vernal pools where Wood frogs (Lithobates sylvaticus) were calling. 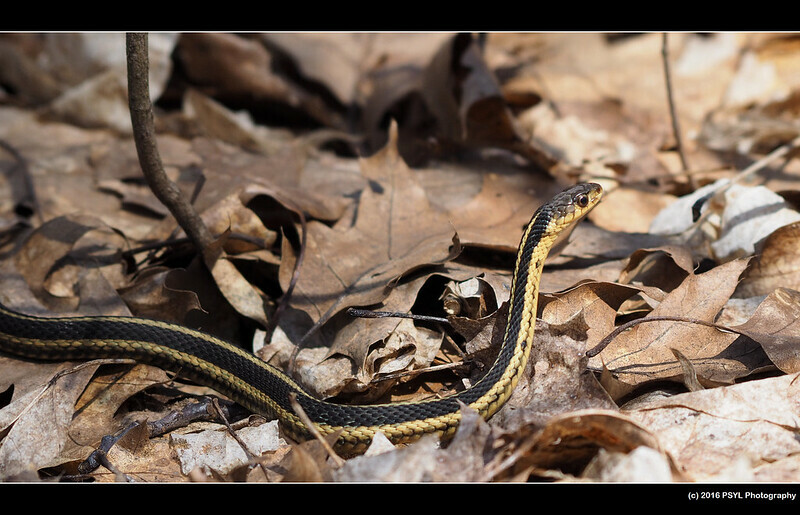 The weather was warm this morning, and I came across this Eastern garter snake (Thamnophis sirtalis sirtalis) moving across the forest floor. I always seem to find a flycatcher here. 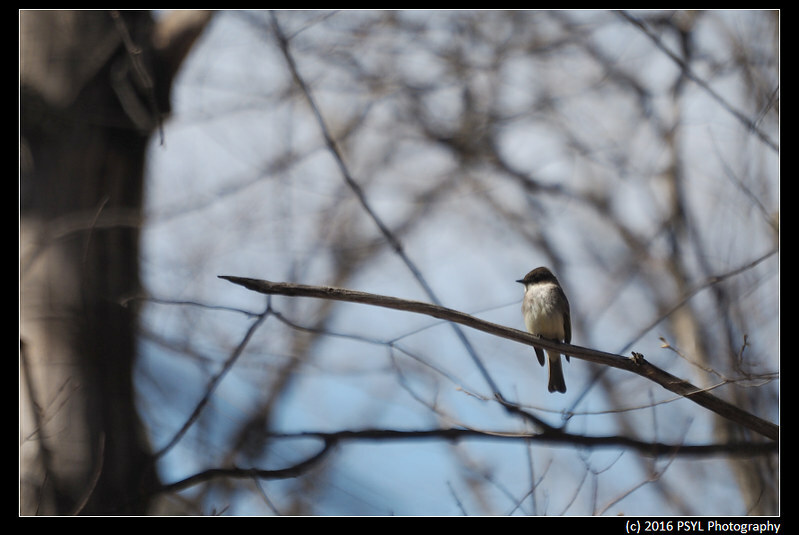 An Eastern Phoebe (Sayornis phoebe), perhaps? 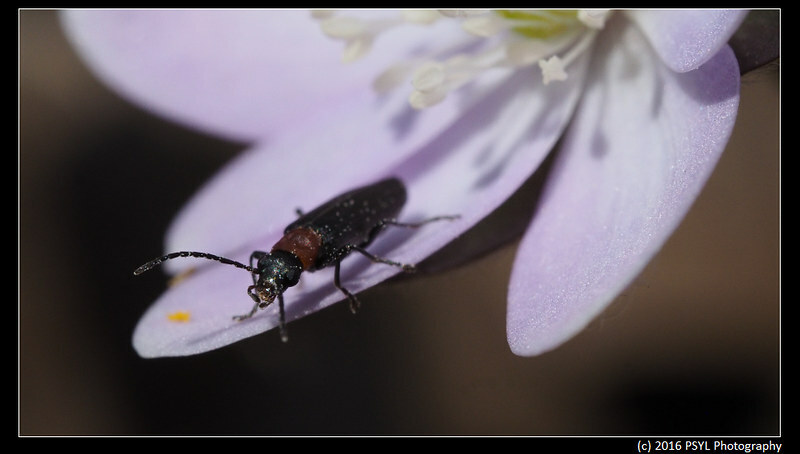 A Red-necked False Blister Beetle (Asclera ruficollis) visiting a hepatica flower. 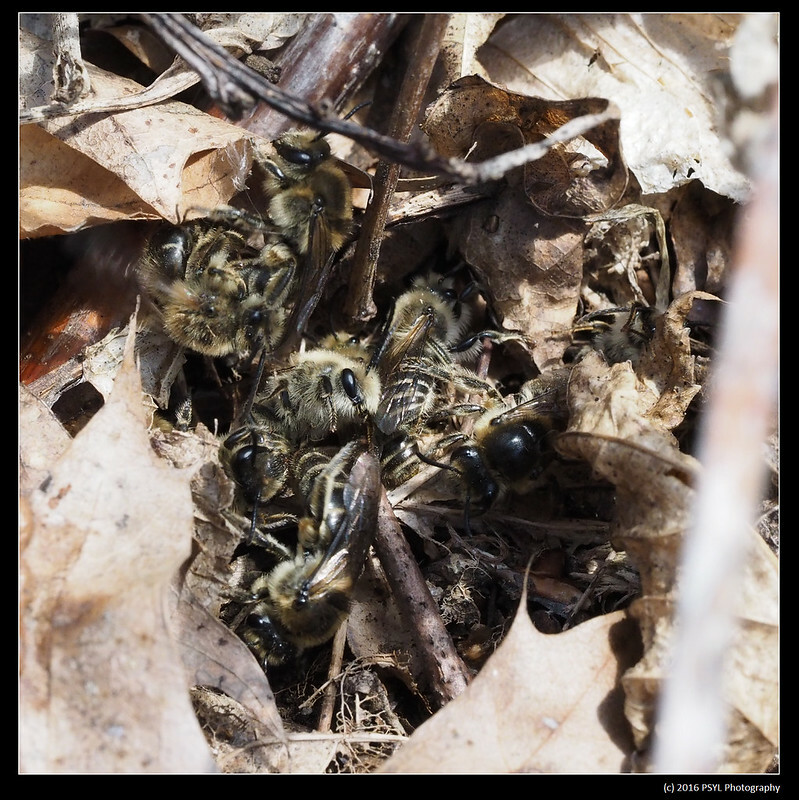 Once we finished with the fieldwork and were walking back to the car, I noticed an aggregation of Cellophane bees on the ground trying to mate with the females. 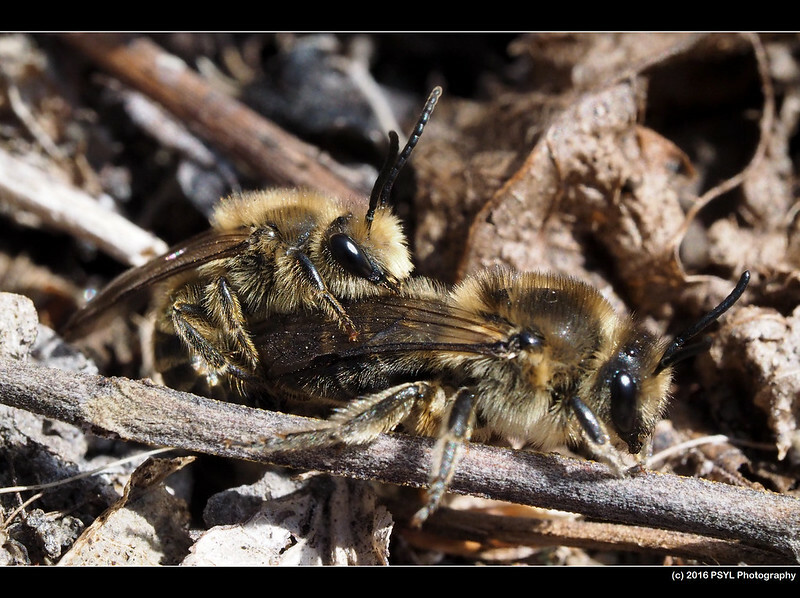 I think these are Unequal Cellophane Bees (Colletes inaequalis) since it is a common early-spring bee around here.  The female seems darker in colour than the male. 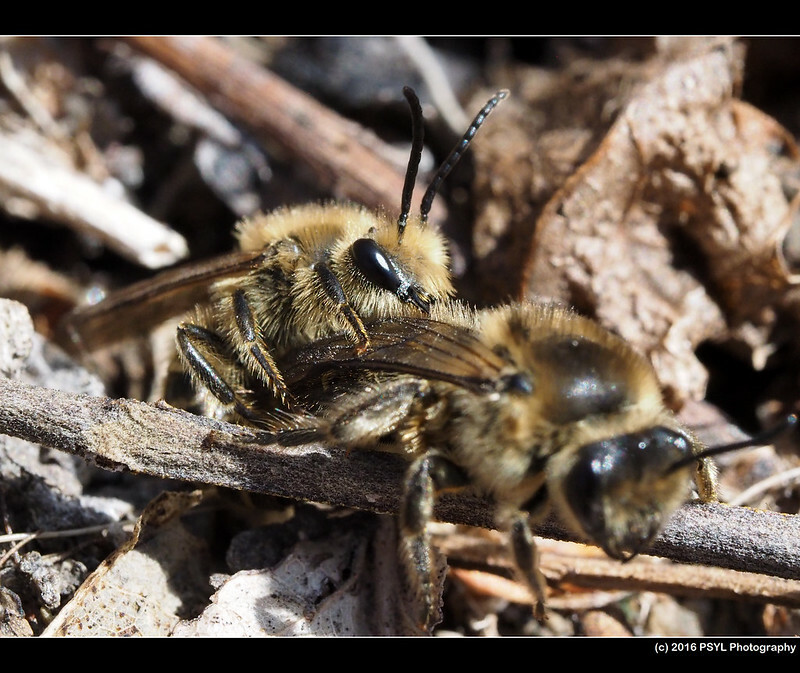 The female is also larger. 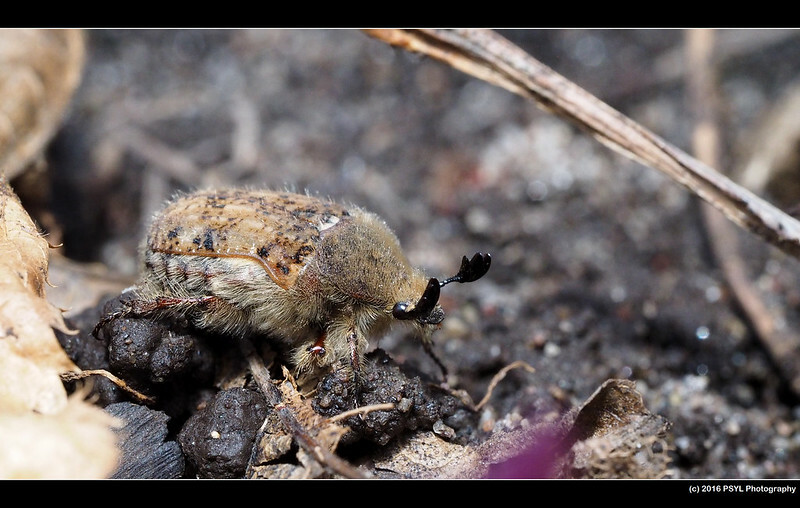 There were also many Bumble Flower Beetles (Euphoria inda) flying around. 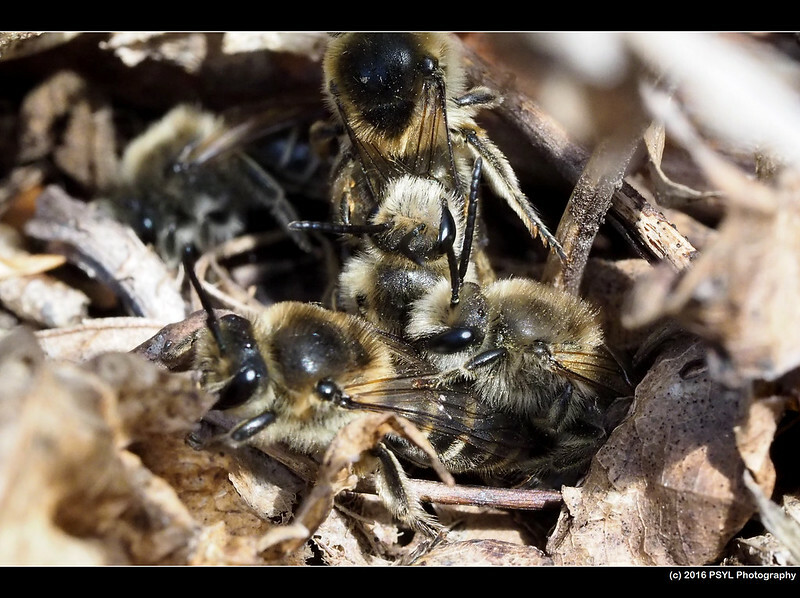 It took us a while to realize they were not bumblebees nor wasps. Kind of adorable looking. We set up pan traps today, so I will be returning tomorrow to collect the traps. Hopefully the weather will not be too bad then (forecast is calling for rain tomorrow morning). Who is ready for Spring? Flowers, birds, and I.